“Box with compartment for jewelry (no cover).” Measurements on filing card read 13 cm x 9 cm. 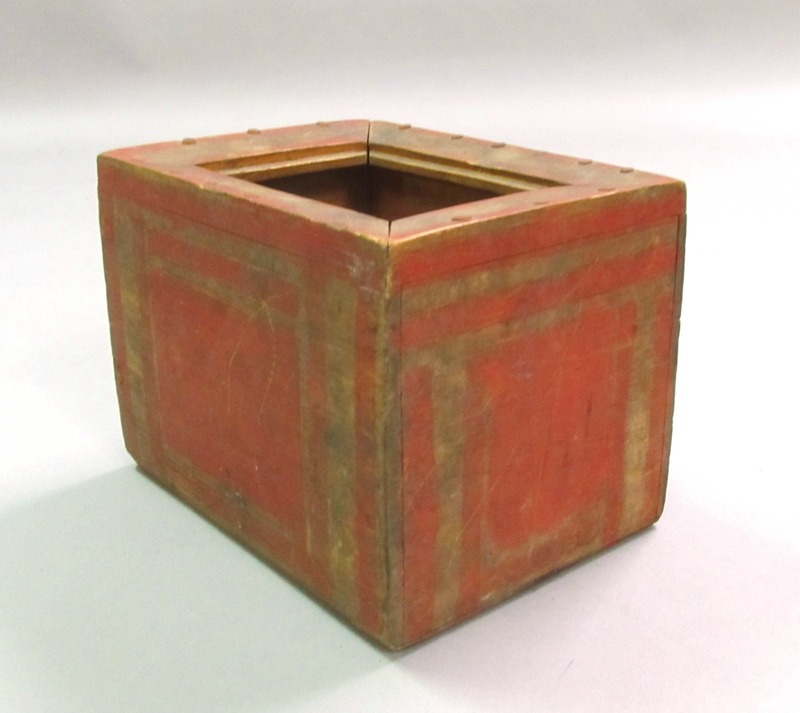 A wooden box with red geometrical design. It is made with nails, the wood fitted together from pieces. From Chenega. Not certain what the jewelry compartment remark indicates. Perhaps it denotes the general cavity of the box.